FCA CEO Sergio Marchionne has said a redesign of the Grand Cherokee would be delayed for an unspecified period of time. 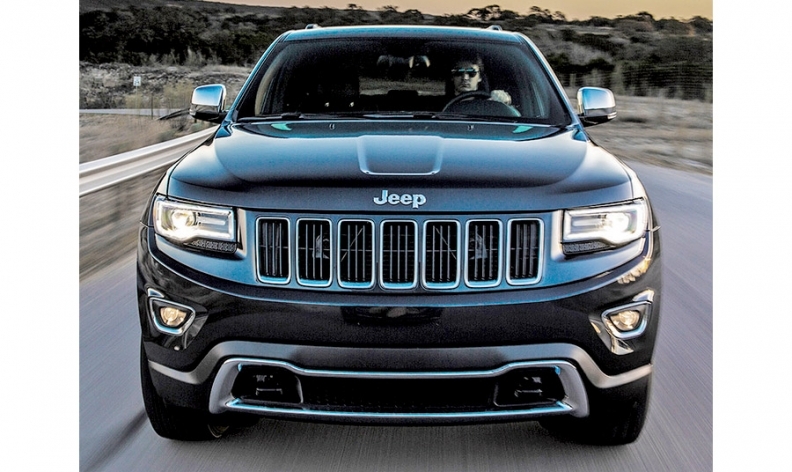 CHELSEA, Mich. (Reuters) -- Jeep brand CEO Mike Manley said a redesign for the popular Grand Cherokee SUV will be delayed until late 2018 or 2019, after initial planning for 2017. Manley, speaking to journalists here today, said global Jeep sales are up 20 percent so far this year, which puts the brand on a pace to reach 1.2 million vehicle sales for the year. Reuters three weeks ago reported likely delays of some of the Fiat Chrysler Automobiles' product lineup, citing sources. FCA CEO Sergio Marchionne has said a redesign of the Grand Cherokee, one of the company's most profitable models, would be delayed for an unspecified period of time so engineers could take "a complete re-look" at the vehicle's basic underpinnings. That architecture will be shared with a larger and pricier derivative called Grand Wagoneer that’s intended to compete with luxury SUVs such as the Range Rover, he said. Originally, in its 2014 investor briefing, FCA said the redesigned Grand Cherokee would be introduced in fall 2017 and the new Grand Wagoneer in fall 2018. Suppliers have told Reuters that the Grand Cherokee introduction now may be delayed by up to a year, while the Grand Wagoneer's launch could slip even further. In a related matter, the Chrysler brand is on pace to hit a sales goal of 800,000 vehicles in 2018, said Al Gardner, chief of the Chrysler brand. Gardner confirmed that a Chrysler product will be produced in China, but he did not say when that would occur. By 2018, he said, the brand will continue to sell about 90 percent of its products in North America. The product to be made in China will be one of the brand's current products: The Chrysler 200 midsize sedan, Chrysler 300 large sedan, or Town & Country minivan. Manley said Jeep is "on pace" to reach a goal of 1.9 million in worldwide vehicle sales by 2018. That target was given as part of the company's five-year plan last year. Manley said local production in major markets is essential to reaching the 2018 sales target. Production of the small Jeep Renegade began two months ago in Brazil and production of the Cherokee in China will start in the middle of this year's fourth quarter, to be followed by Renegade production in the first half of 2016, he said. The Grand Cherokee will undergo a "mild refresh" before its redesign in 2018 or 2019, Manley said. Meanwhile, the Wrangler is "broadly on track" with its redesign plans announced in May 2014, he said. Part of Marchionne's plan to raise FCA North American profit margin beyond its current 4 percent is to launch a luxury SUV to compete with vehicles like the Range Rover. Manley said the new Grand Wagoneer is the "best opportunity" to make a luxury SUV that can command higher prices than any of the Jeeps now being made.